The Commodore 128 ran in three different modes: C128 mode, C64 mode, and Z-80 (CP/M) mode. This particular version is the 128D which is a two-piece system with separate keyboard. It includes a built-in version of the Commodore 1571 floppy disk drive. 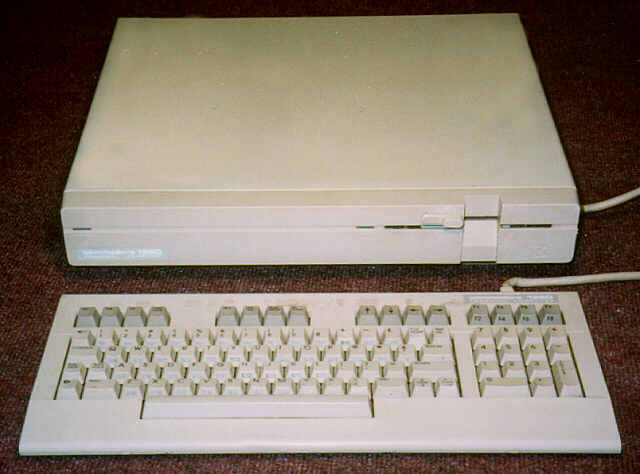 The regular Commodore 128 system had a built-in keyboard and used an external, optional floppy drive.